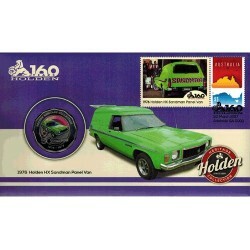 The Holden 1984 VK Commodore postal numismatic cover is highly collectable, featuring a pictorial envelope with the Australian Map stamp and Holden 1984 VK Commodore tab with a coin from the Royal Australian Mint. 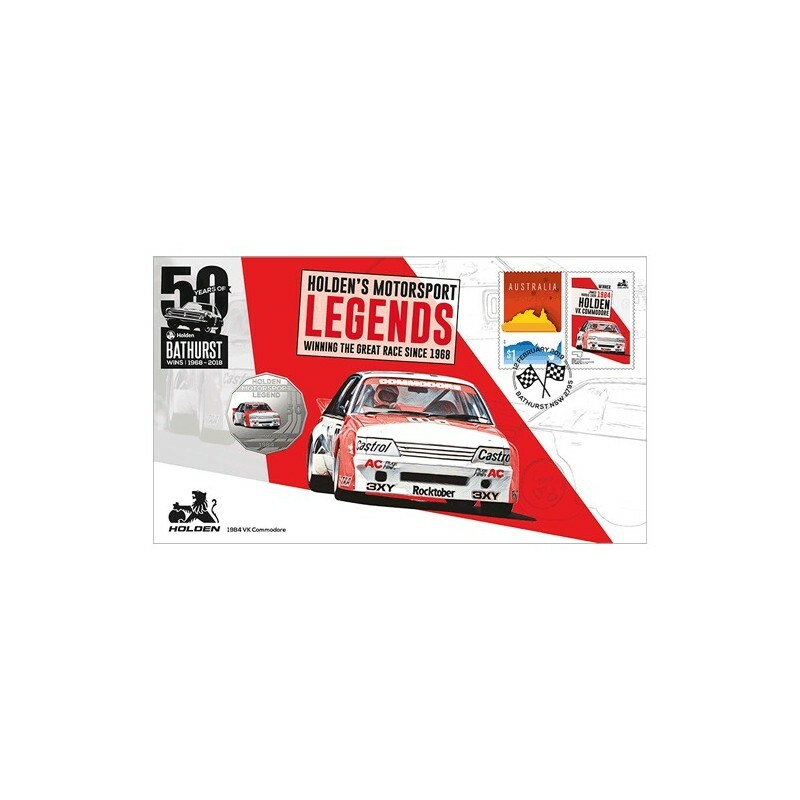 One of the most memorable Bathurst winners of all time, the 1984 VK Commodore Group C race car left an enduring impression when it stormed to victory in the 1984 Mount Panorama race. 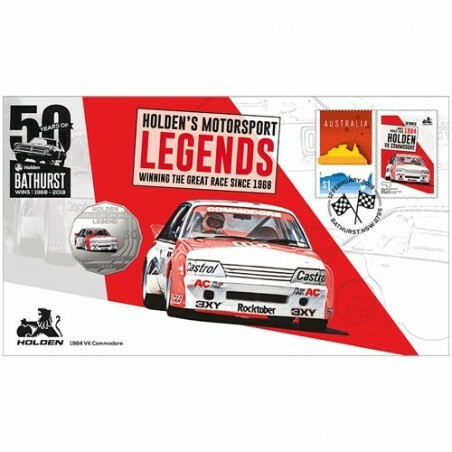 Purpose-built to farewell the local Group C regulations in style, the “Big Banger” lead all but 19 of the 163 laps in 1984’s Great Race, in a flawless demonstration of the team’s professionalism. 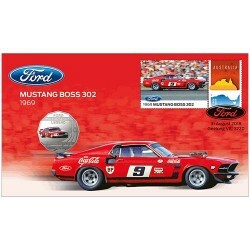 This car was as eye-catching as it was unstoppable on the race track, with gleaming Day-Glo orange paint on its imposing body as well as wide racing tyres and flared guards. 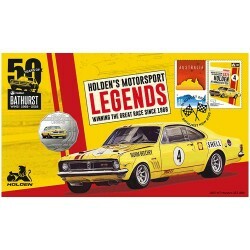 Featuring a 50c commemorative coin struck by The Royal Australian Mint with the VK Commodore design. 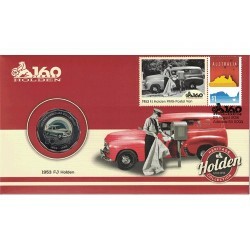 A commemorative $1 Australia Post Stamp along with a commemorative 50c Coin featuring the 1984 VK Commodore. 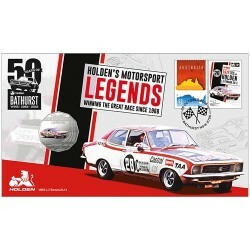 Postmarked First Day of Cover 12 February 2019, Bathurst NSW 2795. 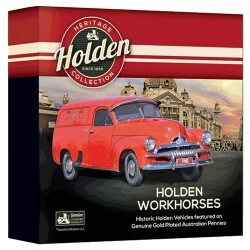 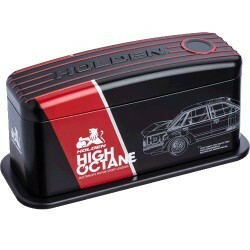 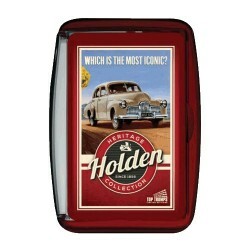 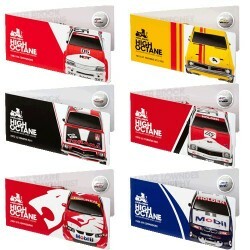 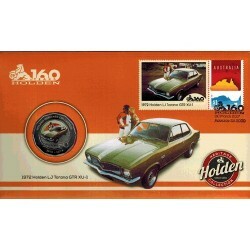 Australia Post Seal of Authenticity & Genuine Holden Licensed Product.